I remember feeling overwhelmed as a young teenager standing on the grounds of the Lorraine Motel in Memphis, Tennessee. I had chills all over my body and a stirring deep in my belly knowing that the life of one of my heroes was tragically taken just steps away from where I stood. Having the chance each year to set aside a day to reflect on the Rev. Dr. Martin Luther King, Jr.’s legacy and his leadership is such a gift. 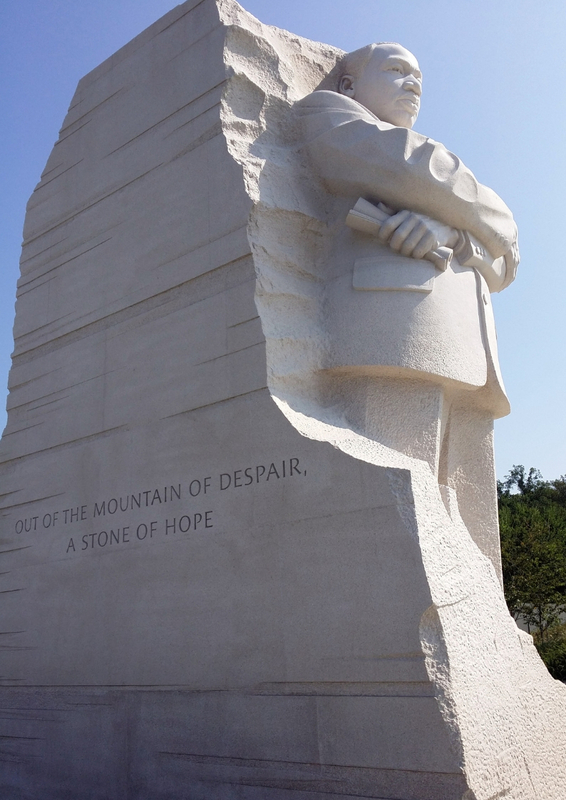 When I think back to that moment, of the powerful experience I had as a young woman at that site, as well as what Dr. King was advocating for that day he was killed, something essential about purpose becomes so clear to me: our purposes will take us to different places, sometimes places beyond what we could have imagined. We have to trust it. On the day that he died, Dr. King was advocating for workers’ rights. He recognized that racial justice cannot happen without economic justice. He wasn’t blind to the other movements happening around him. Rather, he participated in them. He knew that our work does not happen in isolation. Our purposes are connected. Dr. King knew that he had a gift for speaking, for using his voice to capture people’s attention, to inspire them, and to mobilize them to take action in the pursuit of justice. This was his purpose. He trusted it and allowed it to translate to different settings. Toward the end of his life, Dr. King’s civil rights work became intertwined with the peace movement and the economic justice movement. His messages began to converge with those who had previously been perceived as more “extreme,” building bridges among people. His civil rights work had always overlapped with his faith work. If you’re tied to your purpose, it will flow and take you to new places. When you stay committed to its path, your purpose may even change. It will definitely evolve. It may take you to a new setting, to a new sector, or to a new community. When we trust it, we can see how our purposes connect us to other people, to other places, to other contexts and to other opportunities. A lot of people think that once you’ve found your purpose you just do the same thing for the rest of your life. In reality, it’s the exact opposite. Purpose can carry us into realms we never predicted we’d enter. 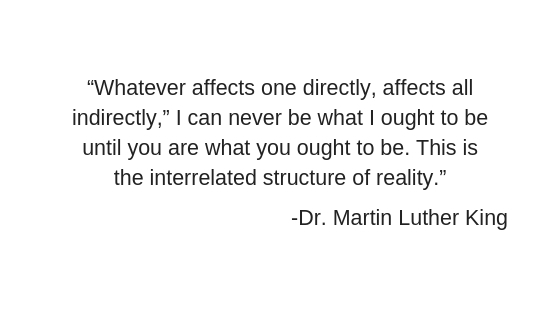 Dr. King is such an awesome example of this. Also, while we’re talking about honoring Dr. King, do you remember that part in Purposeful Hustle when I talked about getting so fired up as a kid that I got up in front of the entire cafeteria to recite a speech on MLKJ day? I am so happy to share that my home school district is finally going to honor MLK Day next year. So here’s to celebrating the small victories! They’re all part of the Purposeful Hustle. Deanna Singh, Founder/Chief Change Agent of Flying Elephant, is known for giving audiences the tools and courage to imagine, activate, and impact the world as agents of change. She is a trailblazer and dynamic speaker who is at the forefront of social change. She is an accomplished author, educator, business leader, and champion for marginalized communities. Singh earned her Bachelor of Arts in Urban Studies from Fordham University, a Juris Doctorate from Georgetown University, and a Masters in Business Administration from the University of Wisconsin, Madison. She is also the author of two children’s books, I am a Boy of Color, and I am a Girl of Color and a business book, Purposeful Hustle.